Purchase online REF-03 Voltage Reference in India at low price from DNA Technology, Nashik. The REF03 series of precision voltage references provide a stable 2.5 V output with minimal change in response to variations in supply voltage, ambient temperature or load conditions. 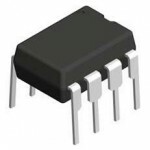 The devices are available in 8-lead SOIC, PDIP, CERDIP, and TO-99 packages, as well as 20-terminal LCC packages (883 only), furthering the usability of the devices in both standard and high stress applications. 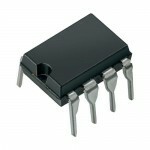 REF-02 Voltage ReferenceThe REF02 series of precision voltage references provide a stable 5.0 V outp..